The relatives of redwoods were alive when the dinosaurs roamed the earth, at a time when these forests were much more widely distributed. Redwoods can live over 2000 years, and their close cousins the giant sequoias can live to 3200 years. With their long lives, it is no surprise they are the tallest things on earth. One redwood tree was measured at 379 feet. It is hard to imagine their perspective, both in height and age. Muir Woods was bought in 1905 and given to the government in 1908, named for the famous naturalist and conservationist John Muir. 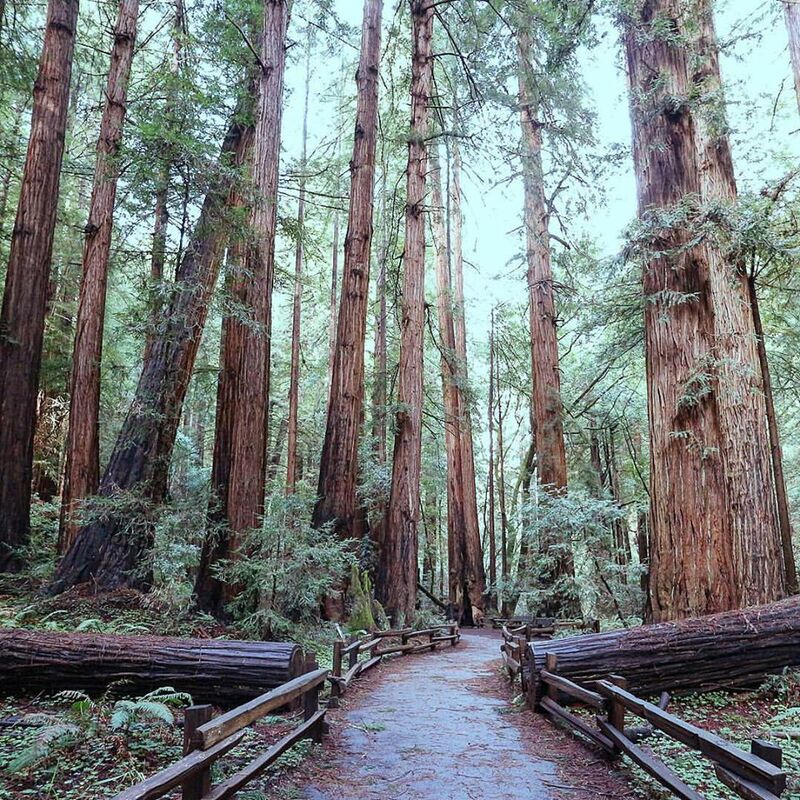 There have been various threats to the preservation of redwoods, most notably in 1966 when then Governor Ronald Reagan opposed the expansion of Redwood National Park with the statement “A tree is a tree. How many more do you have to look at?” The answer for me is I would like to see them all. Each redwood has a unique gnarled character. They seem elder statesmen of the coastal forests, with whispers high above me conferring secrets of times I can only imagine. Though impossible to totally translate, I hope we can always hear the soft murmur of their tree talk.